Imagine yourself on a sunny beach, lying on a deck chair sipping your favorite cocktail. Imagine it’s happening this summer, you have all the luxuries you can imagine and you pay a ridiculously low sum for this perfect hotel deal. All you have to do is check out the offer and put your hands on it before all the rooms get sold out. Take a look at this cheap hotel deal from Bookit and see for yourself how great it is, All Inclusive stay in SuperFun Beach Resort and Spa in Jamaica for as little as $88 per person per night and every third night is FREE!!! For this rate you can access the four-story waterslide, the Beachfront Runaway Bay and the rate also includes all meals, drinks, taxes and tips. Enjoy this special deal from 1 May to 31 October with no blackout dates. But hurry up before all rooms get booked. 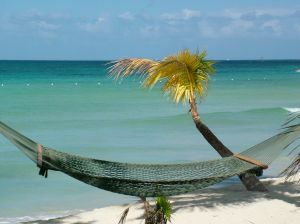 If your 2011 dream vacation is not in Jamaica, look for other low hotel rates on Travelgrove’s hotel search to see all offers for a destination in one place. Just introduce your travel details, hit search and pick the hotel and offer you like the most. Have a nice vacation! This entry was posted on Thursday, April 7th, 2011 at 5:43 am and is filed under Hotel Deals. You can follow any responses to this entry through the RSS 2.0 feed. You can leave a response, or trackback from your own site.